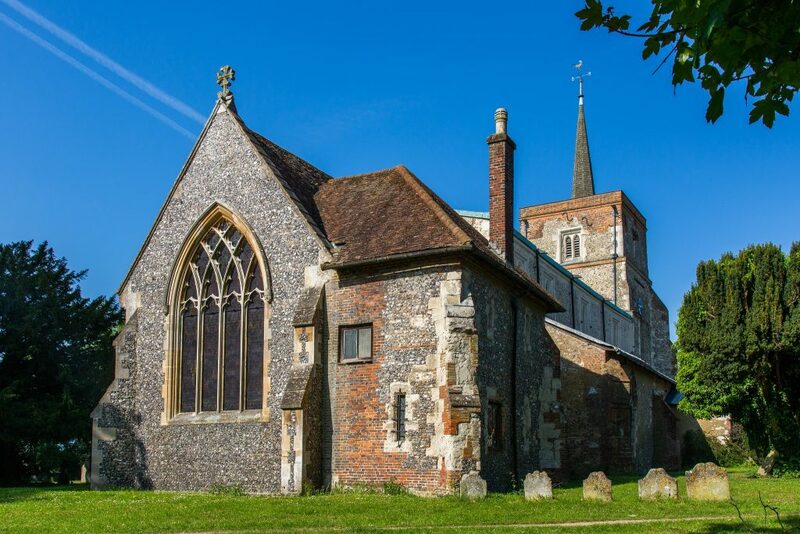 St Leonard’s Church, Flamstead has received initial National Lottery support for its “Living Histories, Lasting Journeys” project. The project aims to protect and share the valuable heritage of this 12th century church for generations to come. 12 months of structural repairs are planned to start in 2020, in parallel with an exciting programme to involve people of all ages in discovering more about those who have left their mark on the building during the 900 years since construction began. Development funding of £91,200 has been awarded by the Heritage Lottery Fund (HLF) to help the Flamstead’s PCC progress their plans to apply for a full National Lottery grant of £642,500 at a later date. As well as essential repair work to make the building structurally sound and weatherproof, the project aims to make the story of its fascinating 900-year history more readily accessible to visitors and online. Volunteers will be welcomed and trained to assist with a range of new activities designed to “give something back” to the whole community. By teaming up with local arts charities and experts, the aim is to use puppets, drama, hands-on exploration and teaching resources to help schoolchildren learn history using St Leonard’s as a local example. Local colleges will be involved in digital media projects and robotics competitions designed to engage young people, who will also be involved as volunteers in designing the information displays and capturing living memories. Tourists and local people will be encouraged to visit and attend talks through the work of a heritage learning officer, and will be able to explore the heritage with the aid of new graphics displays and a mobile guide. Local embroiderers will join forces to make a contemporary wall-hanging recreating one of the most striking wall paintings, to be unveiled at the end of the project. Construction of the church started in 1120, on the site of a Saxon chapel. Since then, the building has evolved and changed as different generations left marks – and these can still be read in the architecture, decoration, monuments and in the graffiti on its walls and pillars. 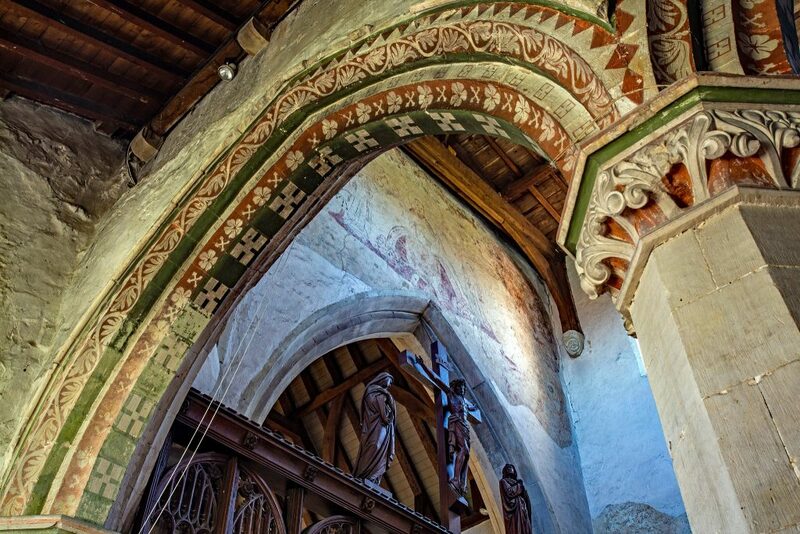 An important series of wall paintings, second only in Hertfordshire to those in St Albans Cathedral, and rediscovered in the 1930s, spans the 13th to 19th centuries. Fascinating medieval and Tudor inscriptions and images are scratched in the stone and have never been systematically surveyed. Monuments tell the stories of local families, some of which had connections to the Tudor court; documents and photographs spanning 120 years are yet to be digitised. The church bells were cast onsite in 1664 and are still rung from an ancient wooden bell-frame.